A US web designer was completely shocked and a little out of pocket after he found the Korean Government had used his website template design for their official website. Robert Westmore, a freelance website designer, creates templates for blog sites and websites. 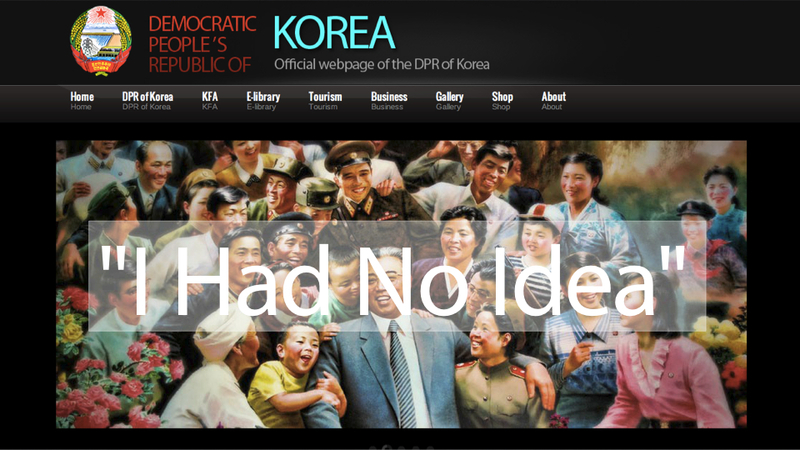 He was over the moon to find that his design had been used on Korea’s official site, which informs users about the country, culture, places to visit and government. His design was purchased for a measly $15 (£9.30) but he’s rather proud to have his template facing the world, when people want to know more about the incredible eastern area. Westmore had no idea that his design had been used until a New York student traced the original designer, when working on a project surrounding Korean propaganda. He is excited that his work is being used on such a huge scale and the website will possibly receive thousands of hits everyday. It goes to show how popular a great template can be, especially as the “do it yourself” culture is growing, where people can choose free or purchase relatively cheap templates for their websites. Juno Web Design creates their own templates and can customise others, to produce bespoke sites which are unique. We also produce responsive designs which enable users to see sites clearly on any device, whether they are PCs, Tablets or Smart phones. Our work has been featured on many other sites which promote “cool design” and the best front end design, which we are really chuffed about. If you are interested in any of the designs we produce or have taken a shine to a particular style of website and would like to replicate the design, contact the Juno Web Design team today.